NEW PRICE!! Don't miss this amazing property. It has a great layout with ample space for a family. 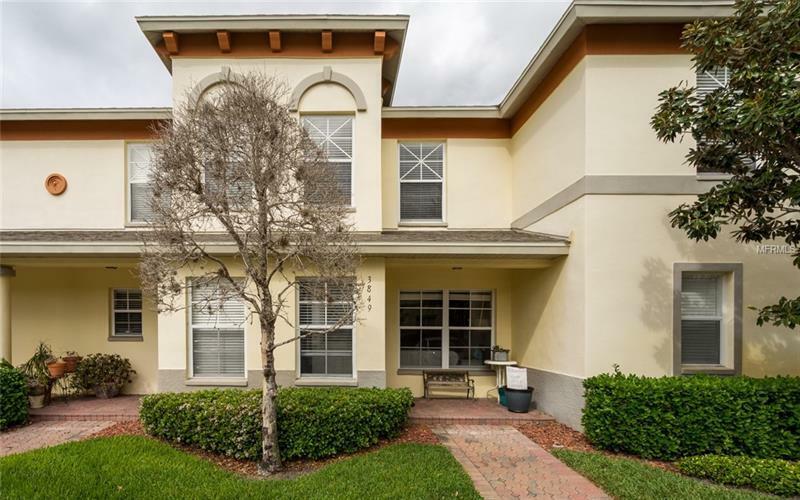 This bright 2 bedroom 2.5 bath townhouse has a BONUS room that would be great as a play room, home office or french doors can be added to make this a spacious 3rd bedroom. Close to downtown, enjoy St. Pete's wonderful museums, shopping and waterfront restaurants. This floor plan is one of the few units giving you a private front porch entrance PLUS a screened back porch with storage utility closet. This home features a garden tub in master bath, full size washer and dryer including use of all the great amenities. Downstairs has beautiful new high end laminate floors giving this home the perfect touch setting it apart from the others. Also, a new AC was recently installed and the warranty transfers to the new owners. Pets allowed, OK to lease, all ages welcome. Come see this great property!